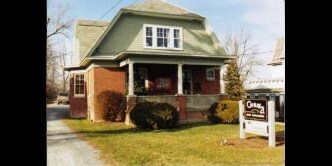 Located in historic Vergennes, Vermont and within minutes from Lake Champlain, our office serves Addison County with a focus on Vergennes, Ferrisburgh, New Haven, Panton, Addison, Bristol, Monkton, Starksboro and Middlebury areas as well as Charlotte and Hinesburg in Southern Chittenden County. In addition, our extensive knowledge and expertise in buying and selling lakefront properties surpasses all the rest! We are here to help you achieve your real estate goals. Whether buying or selling, our experienced team of REALTORs provides our clients and customers with the highest quality service, professional standards and real estate expertise while developing lasting relationships. Contact us today and ask to speak with Lynn, Susan or Michael! (802) 877-2134 or (800) 639-8052. Nancy Larrow, a native of Addison County Vermont. Married for 39 years to her husband Jim, a volunteer fireman, she realizes the value of giving back to her community. She is a trained hospice volunteer and participates regularly in fundraisers for the American Cancer Society. She is the co-founder of Hats from the Heart, a nonprofit organization that coordinates the knitting and distribution of hats across Vermont for cancer patients. Nancy and her daughter Alexandra, started this organization in 2006. Nancy became involved with the Distinguished Young Women Program when her daughter represented Vermont in 2007. Realizing the value of this scholarship program in young women’s lives they joined the board of the Vermont DYW program in 2013. This year Nancy celebrated her 27th year in real estate. Working with clients and customers to find their perfect first or forever home is what she excels at. Being a homeowner, investment property owner and business owner for over 25 years she knows the value of being involved in the community where you live. When she isn’t working she is entertaining family and friends on the shores of Lake Champlain.